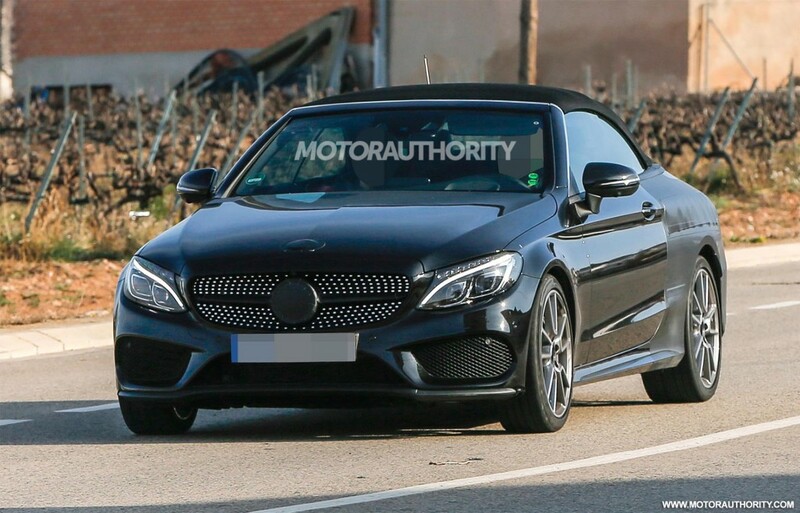 Mercedes-Benz’s C-Class range is about to spawn a convertible for the first time, or Cabriolet as the German automaker refers to it. 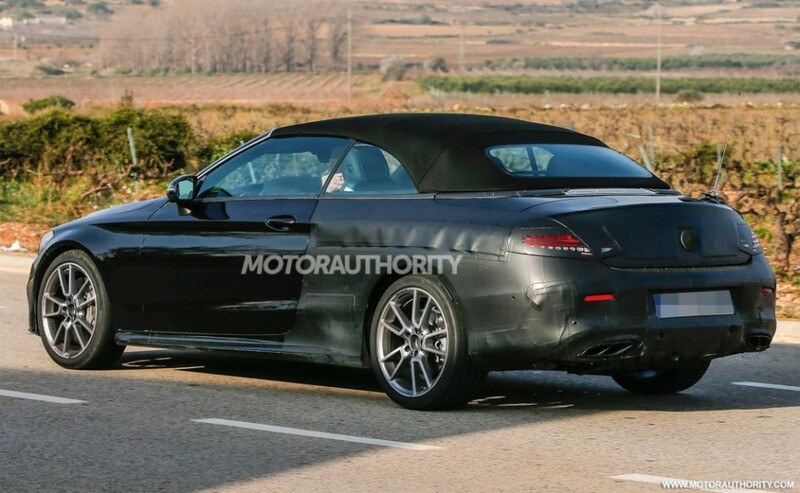 And along with the regular car, there will be a couple of performance-oriented models developed by Mercedes-AMG. 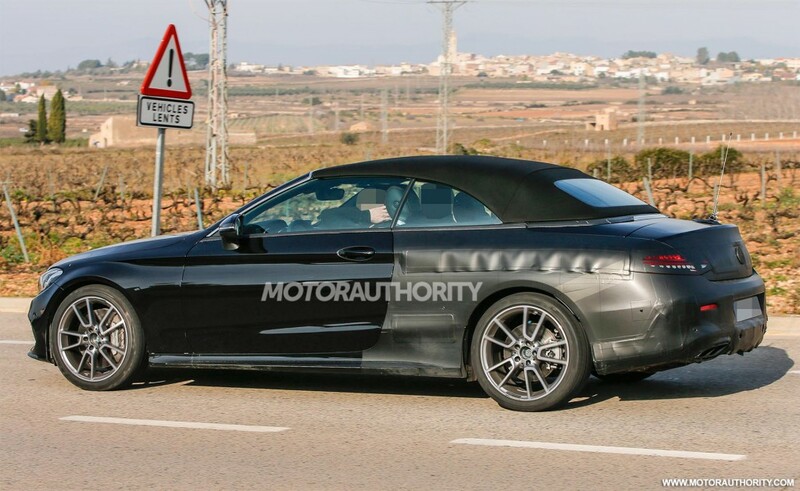 One of these will be a new C63 Cabriolet. Another will be a tamer version expected to don a “C43” badge and whose full title should be Mercedes-AMG C43 Cabriolet. 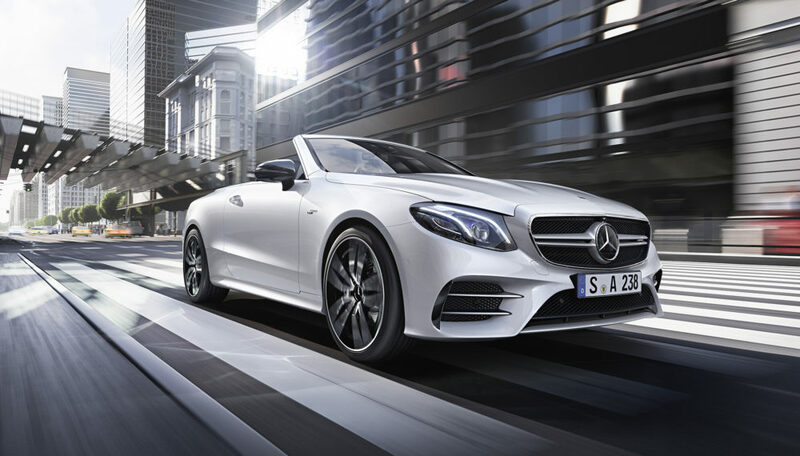 You’ll recall that Mercedes-Benz recently introduced a new AMG Sport range to fill the gap between its most potent offerings and those of Mercedes-AMG. Some of the cars that make up the range include the C450 AMG and GLE450 AMG Coupe. However, we recently learned that going forward these AMG Sport models will be part of the Mercedes-AMG lineup. And as a reflection of this they will carry the “43” designation. 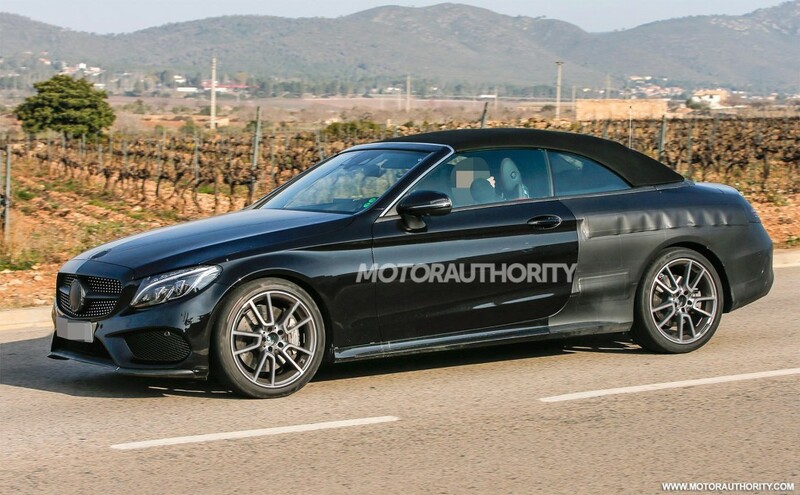 The transition started with the 2017 SLC43 and will soon lead to the launch of a new E43 based on the 2017 E-Class. 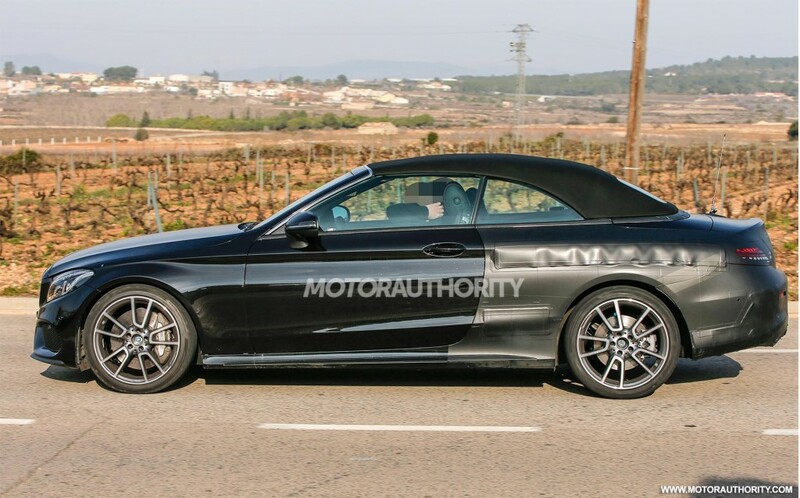 As for this C43 Cabriolet, it should feature a similar drivetrain to the one offered in the C450 AMG, which will eventually be rebadged a C43. 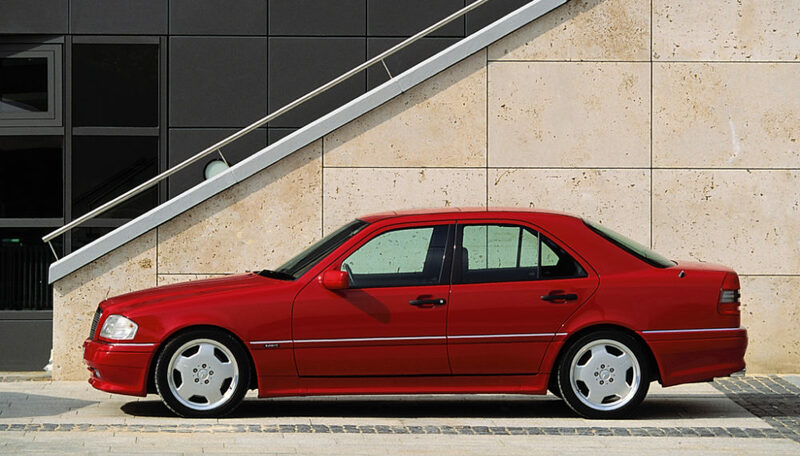 This means a twin-turbocharged 3.0-liter V-6 packing 362 horsepower. 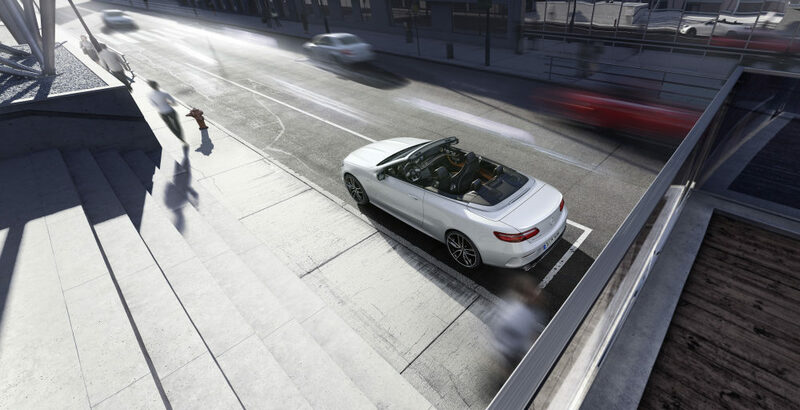 The 0-60 mph time should take around 5.0 seconds and drive should be to all four wheels. 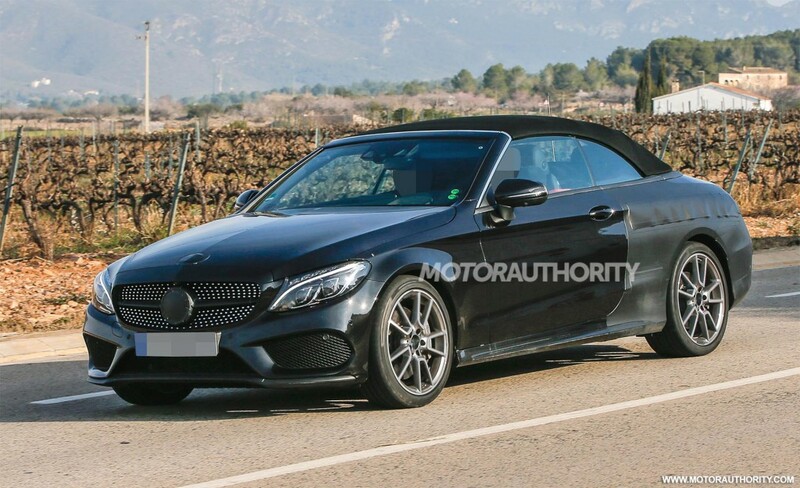 We know this isn’t an ordinary C-Class Cabriolet because of its more aggressive front bumper, uprated brakes and quad-exhaust tips. 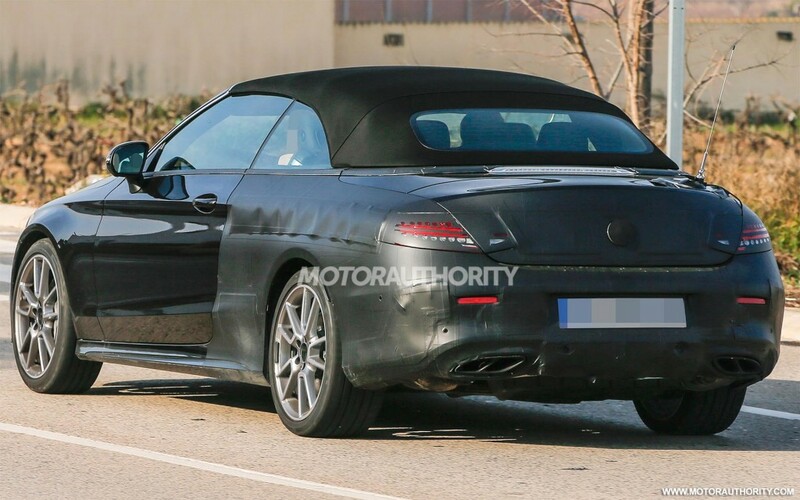 You’ll notice that the exhaust tips aren’t square in shape like they are on the top-end Mercedes-AMG models. 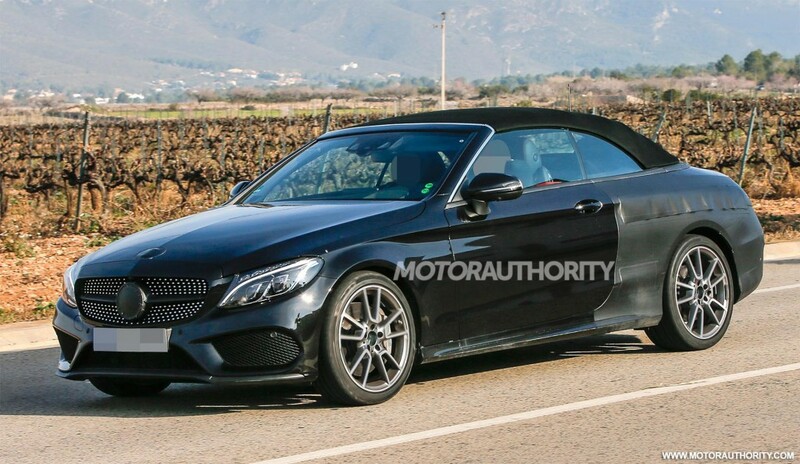 Look for the C43 Cabriolet to debut later this year, most likely as a 2017 model. The more potent C63 Cabriolet should arrive around the same time.